Comfortable plus functional, our Templemore Leather Contemporary Queen-Size Bed will challenge your ideas about discount bedroom furniture. A gas-lift mechanism reveals a healthy dose of storage space underneath the mattress. 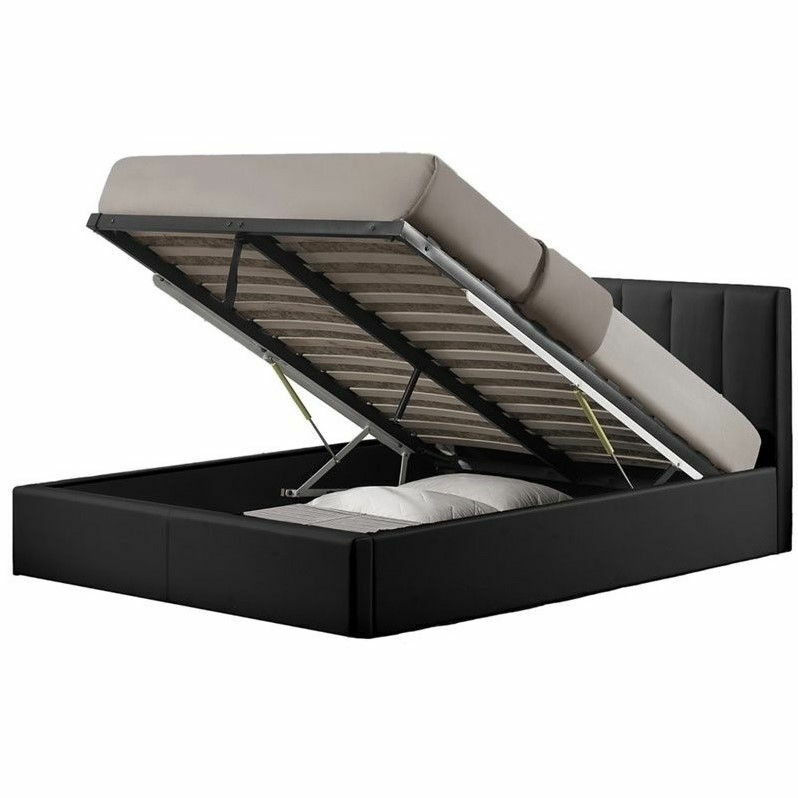 This contemporary platform bed boasts faux-leather upholstery that invites you to slumber in style. A metal-and-wood frame supplies exceptional stability.